From the 8th episode, HG goes to MH’s house to confront JK about her part time at MH’s house. He drags JK out of the apartment (holding her hand! OMG) but JK says she’s in pain because of her burns on her hand. HG quickly let go of her hand and asks again, “Do you really want to stay here?” JK hesitates at first, remembering the documents in MH’s safe, but she shakes her head, saying that she doesn’t want to. HG’s face totally softens up and he brings her to his cafe. Two awkward persons in one car, but the feeling is so good. Haha. At the cafe, JK’s being accepted back to work there(still wearing that ‘I kiss better than I cook’ apron LOL). HG talks with the manager ahjusshi about how his heart is so at ease right now that JK’s there. He talks something about JH, how JK reminds him so much of JH. Meanwhile, MH goes back home only to find a pile of unwashed clothes in front of his doorstep with no JK around. He searches for her nervously(He looks very concerned with her sudden absence). Then, he goes to HG’s cafe and finds that HG brings her back and she’s started working there back. After that, MH joins IJ and SW to celebrate HG’s birthday. HG looks so uncomfortable with people celebrating his birthday (he looks like a child told to do something he doesn’t like) and JK hides behind the wall, singing for him too. Awww~ Then, comes the best moment: when JK returns IJ’s thermos that she brought to MH’s house in front of everyone, as something to spark others’ interest on IJ-MH’s relationship. You go, girl! Afraid that her (and MH’s) cover might be blown out to their friends, IJ confronts JK outside (I LOVE this moment) and JK promises not to say anything. She makes a gesture that makes both HG and IJ thinks of JH. HG tells her to go home and suddenly her phone rings, with a ringtone that (I think) is Scheduler’s voice. LOL even HG is confused when he hears that. Later, IJ asks MH about JK (an indication that she’s getting jealous feeling insecured). This keeps MH thinking about his feelings towards JK. The next day, JK meets HG on her way to collect the tears. She calls him ‘Han Gang!’ so casually, but then, HG tells her to repeat, and she sound so similar to JH. JK asks him about his friend that he takes good care of, even protecting her fiancée. HG says that JH is not that good in condition, and something else. Meanwhile, a lawyer comes to JH’s dad’s company to hand over some documents, which turns out to be the inheritance of the company to MH. IJ quickly informs MH about this. …rocking a pair of sunglasses and a light turquoise jacket. JK asks him to help her, and he gives her a ‘chance’ to help herself. While JK is talking with DS, the ahjumma from and the waitress HG’s cafe see her talking to herself (only JK can see DS, others can’t, remember?) and report this to HG, saying that JK is crazy for talking to herself. JK returns home to put YK’s body to sleep and JH in her soul form, goes to her dad’s company. Pretty smart of her to make YK’s boss send a parcel to her dad (it’s funny how the boss is quite surprised how different she is from he normal self) so that she can enter along with the parcel delivery. Dad thinks that someone is playing trick with him, sending old newspapers to him, but there is a story on it about how a man that has been in coma for 20 years finally wakes up. He is deeply touched by this, and with his seal suddenly rolls down (JH did this) and JH’s photo frame falls from the table (DS’s contribution), JH’s dad decides to postpone the matter. Phew. DS’s sunbae comes to teach him (technically and literally) after he violates the law about not meddling with human’s matters. 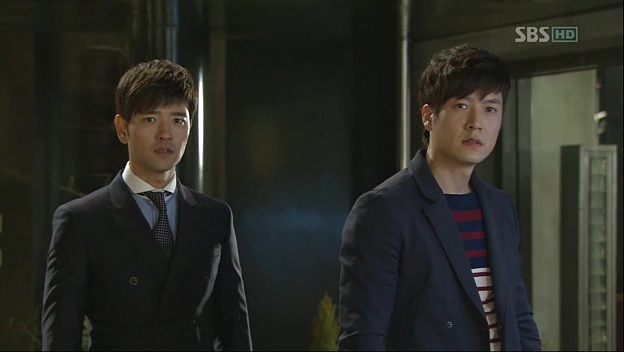 After being maneuvered and hit, his sunbae asks him: does he have any feelings towards JH? He answers, of course not! Not with that whiny girl! Then, he gets his punishment: to extend his service one more week, making it 5 years and one week. Ha, and his sunbae leaves the whiny DS alone. HG is worried about JK, and he decides to go visit her at her house. He arrives just after YK leaves and after knocking for countless times, he leaves. Ah…poor HG! JH is inside the house, but she doesn’t know that HG is the person that come. YK decides to see Dr Noh and tells him that she might be crazy. She tells him about the things that she didn’t remember doing. Dr Noh tells her not to worry and to come to hospital tomorrow. 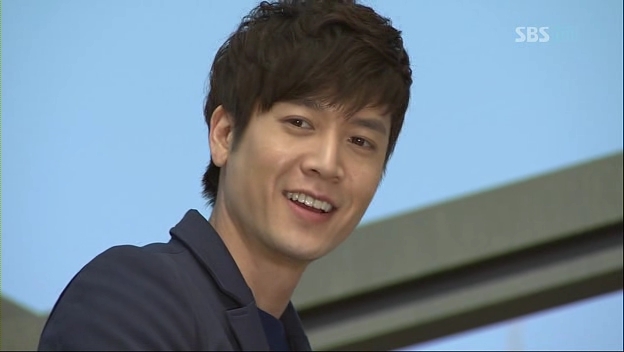 The next day, HG goes to visit JH at the hospital and runs into JH’s dad. 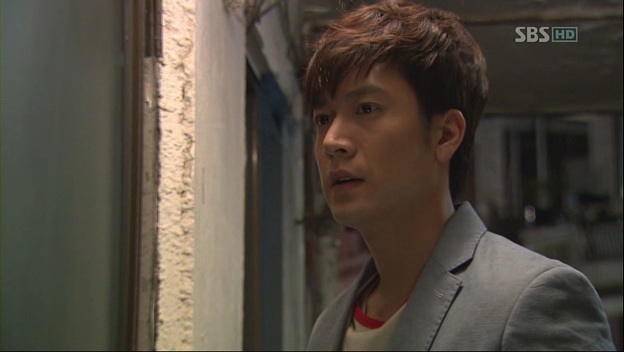 JH’s dad coldly tells him not to visit JH anymore. Awww…poor HG! On the other side of the town, JK goes to work and finds out that it’s a day off. However, thinking that they might have another cleaning season, she enters the cafe and spends her time playing piano. HG, who just returned, hears her playing and immediately, the song that JK is humming reminds him of someone. JH’s playing piano while singing. Unable to hide his curiosity, he asks, “Who are you? 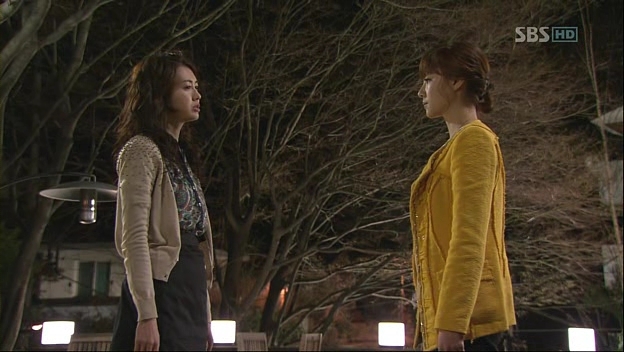 Are you Shin Ji-Hyun?” which sends JK into silence and nervousness. ~So much things happen! 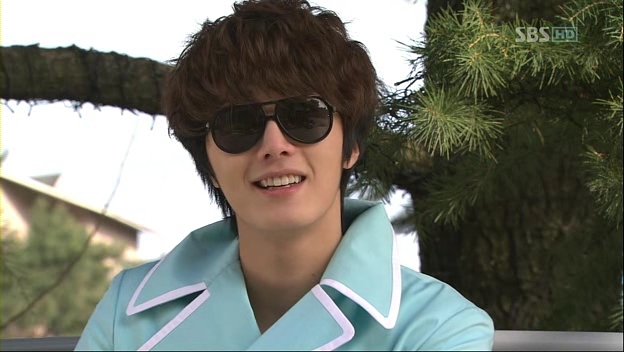 OMG, I totally love HG for his brave action twice: for dragging JK away from MH’s house and when he asks JK at the end. Waaa~it’s a total cliffhanger! What JK’s answer would be? This episode also shows us how JK is so smart to think about disclosing IJ-MH’s relationship little by little by giving hints to their friends. The parcel plan is also brilliant! For YK, it’s nice to see her finally willing to open up with someone about her problems. Maybe this is the point where she starts to have the desire to live? DS is showing his soft spot for JH, and that ends up him getting in trouble. Haha. That’s may be the reason why he tells JH not to call him anymore in the preview. MH is looking so confident about getting the company under his power, but he’s still confused about his feelings towards JK, and this sends IJ into confusion and jealousy. A cat fight between IJ and JK may come later, if the situation gets worsen. Hmm..waiting for tonight’s episode!Particularly, YK-YS scene and the first meeting of HG and the real YK!